This fulllength shotgun stock is finished in black and features a slim ergonomic design for maximum comfort and control. Made from indestructible extreme temperature glassreinforced polymer the nonslip pebble texture on the pistol grip improves shooting accuracy and a rubber recoil pad minimizes recoil shock. This easy installation uses the factory stock bolt and has a sling swivel stud. 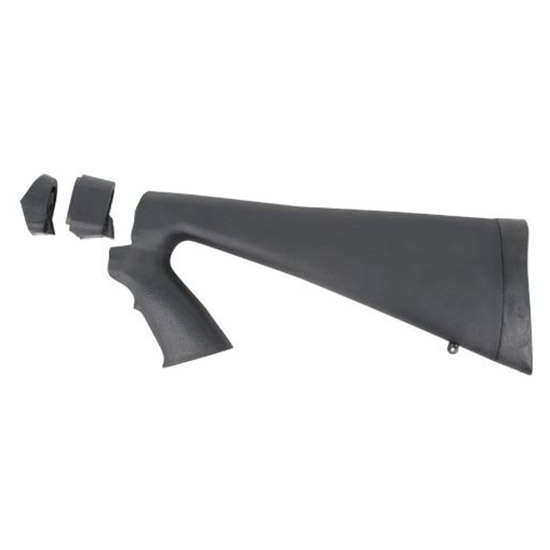 This pistolgrip stock fits most 12 gauge Maverick 88 Mossberg 500535590835 Remington 870 and Winchester 12001300.